A terraced villa overlooking the pine forest and bordered on the other side by a wooded area with large terrace of over 30m² and enclosed courtyard of 12 sqm. The villa of approximately 60 m2 offers a friendly room with kitchen and dining / living area and two bedrooms and a large mezzanine. The large terrace offers views of the pine forest and garden furniture. Lets live out in peace. 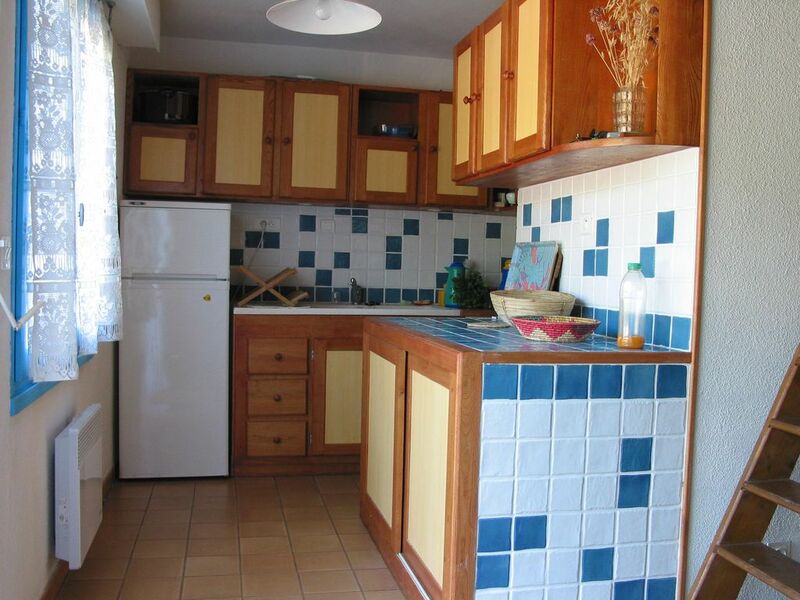 You are 5 minutes walk from the door of Narbonne, 10 minutes walk from the beach Grazels and nearby shops. A large friendly room with kitchenette. et la recommanderions sans hésiter à un ami. On a hill overlooking the harbor, in a quiet area, 5 minutes walk from the port and 1 km from the first beach. Charges de chauffage sont à rajouter pendant les périodes automne et hiver. Des arrhes sont demandées de l'ordre de 20% du montant de la location et le solde est versé 15 jours avant le début de la location. Une caution est demandée lors de l'entrée dans la location.